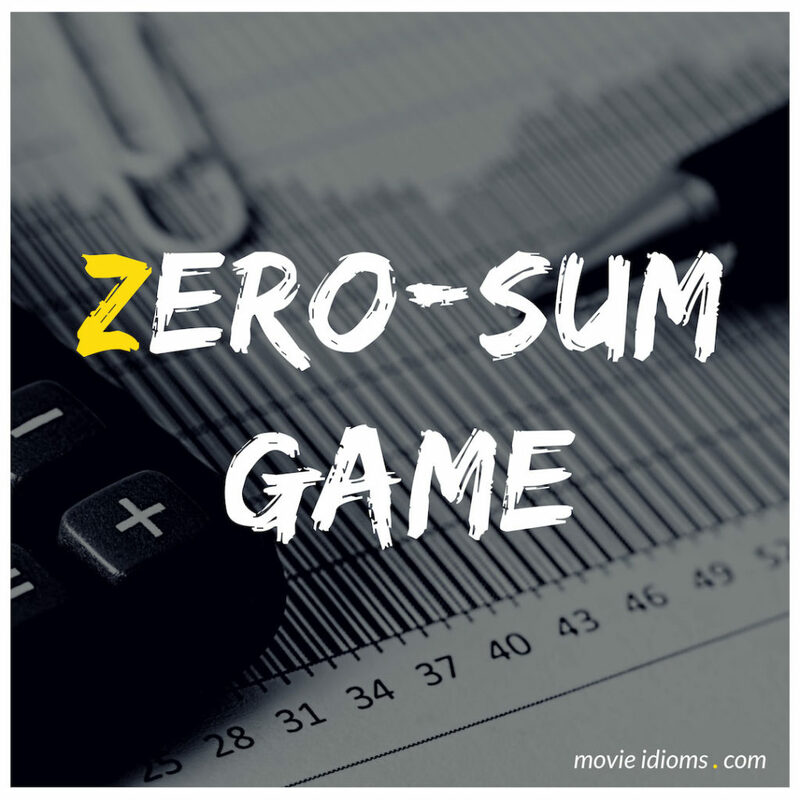 What does zero-sum game mean? Dr. Allison Cameron: What are you suggesting, we start slashing each other’s throats? Dr. Robert Chase: I’m suggesting it’s a zero-sum game. Your loss is my win. That’s not conducive to team play. Dr. Eric Foreman: Which is what House seems to want. I’m with Cameron. May be a bad strategy, but I don’t want to give House his satisfaction. Bud Fox: These people lose their jobs, they got nowhere to go. My father has worked there for 24 years. I gave him my word! Gordon Gekko: It’s all about bucks, kid. The rest is conversation. Hey, Buddy, you’re still gonna be president, all right? And when the time comes, you’re gonna parachute out, a rich man. With the money you’re gonna make, your dad’s never gonna have to work another day in his life. Bud Fox: So tell me, Gordon. When does it all end, huh? How many yachts can you water-ski behind? How much is enough? Gordon Gekko: It’s not a question of enough, pal. It’s a zero-sum game: somebody wins, somebody loses. Money itself isn’t lost or made, it’s simply, uh, transferred from one perception to another. Like magic.